The Stanly and Claudia Gordon Music Endowment was established in 2013 by Claudia Gordon. The Endowment is a 501(c)3 with its own governing board. The fund’s formula is to use half of the net income generated annually for the support of the Cathedral’s Austin organ; both in the form of funding for organ related musical events, and long-term instrument maintenance. 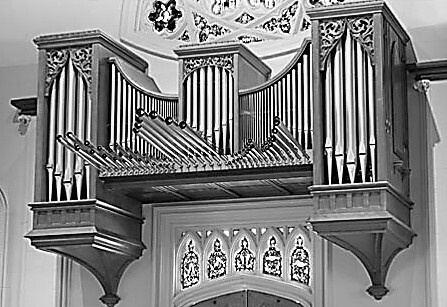 A gift to this fund will help ensure that our wonderful organ remains a vital part of the spiritual and cultural life of St. John’s Cathedral for generations to come. You may also consider the Gordon Endowment in your estate planning. If you’d be interested in contributing in this manner, please contact Timothy Tuller, Canon for Music, at the number listed below. Please indicate the support level you wish to contribute.